What is the best yoga mat for hot yoga? Wait...what is h﻿﻿ot﻿﻿ yoga? Well chances are you probably already know, but if not it is a very popular type of yoga and is done under hot and humid conditions. Yoga is an excellent way to stay in shape. Besides doing wonders for your flexibility, strength, and stamina, yoga can improve your focus and help you find your mental balance. Due to such hard conditions, hot yoga practitioners sweat abundantly, which in turn demands a yoga mat that will be able to handle all that sweat and prevent you from slipping. These hot yoga mat reviews will help you find the best mat for hot yoga. Manduka is a large company with stores all over the US. Their mats are made out of natural, renewable materials and their goal is to create simple, yet efficient yoga mats. Manduka's mat is 1/4'' thick and 71'' long, making it suitable for most users. It comes with a separate, full-size towel you can use during your yoga practice or for anything else. With or without a towel, Manduka's mat offers excellent grip, no matter what position you are in. It's one of the most expensive yoga mats on the market, but it's a great investment because Manduka is one of the rare companies that offer a lifetime warranty on their mats. Which means, once you buy it, you are set for life. Jade is a US based company with its entire production in the US so they can easily control how their mats are made. For every mat sold, they plant a tree. So far they planted over 1 million trees. Jade's mat is considered to be one of the best yoga mats for hot yoga. Its open-cell technology provides you with a superb grip that stays reliable not matter how much you sweat. It is 3/16'' thick and it comes in two different lengths: 68'' and 74''. It's made out of natural rubber and doesn't contain PVC or any material that harms you or the environment. This mat is designed by Yoga Design Lab, a Canadian company that specializes in all types of yoga mats and towels. For every product sold, they give $1 to Urban Youth Yoga Programs. 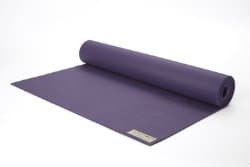 Their mat is a combination of yoga mat and towel, perfect for any type of yoga that includes lots of sweating. The towel is extra absorbent and is attached to a 1/7'' thick yoga mat. The material is a biodegradable natural rubber, while the ink is water-based and eco-friendly. It's machine-washable but it shouldn't be put in a dryer. It is 70'' long and only 4.1 lbs heavy. It comes with a carrying strap for easier transport. It is 70'' long and only 4.1 lbs heavy. It comes with a carrying strap for easier transport. Yoga Zeal is an American company dedicated to creating fashionable and environment-friendly yoga mats and towels. They also create yoga-inspired necklaces. Yoga Zeal's mats are some of the most beautifully designed yoga mats you will ever see. Yoga Zeal wanted their mats to be not only functional but also nice to look at. Their yoga mat is 72'' long and 1/8 thick. As such, it's one of the thinnest mats on the market, but it's also one of the lightest and can be folded like a towel, making it perfect for transport. It doesn't have any odor and it's 100% recyclable. Matymats' yoga mat is 72'' long and 1/4'' thick. With the weight of only 2.2 pounds, it's one of the lightest on the market, even though its thickness would suggest otherwise. It's because it's made out of thermal plastic elastomer (TPE), which is hypoallergenic and doesn't contain any harmful substances or toxins. It offers a nice grip and is suitable for any kind of hot yoga. Its only downside is that it's not made out of rubber so it might not be the first choice for people who want only natural products. But it's perfect if you are allergic to rubber. 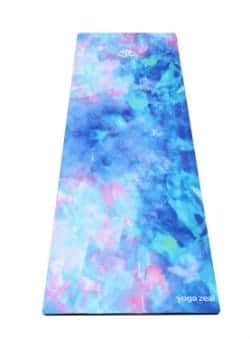 It might not be among the best yoga mats for hot yoga, but we still feel it is a good yoga mat for hot yoga and it does have its advantages as it's affordable and ultralight. A yoga mat is the most important piece of equipment when doing yoga. It's even more important when you do hot yoga. Many yoga mats become slippery when soaked with sweat which can lead to serious injuries. You should always look for a yoga mat with a superb grip, even when lots of sweating is involved. If you want the best of the best (and the most expensive) Manduka or Jade mats will do wonders for you and probably last you a lifetime. Manduka even guarantees their pro versions for life. But if you are looking for something more affordable but still reliable, you can go with the other mats introduced here. 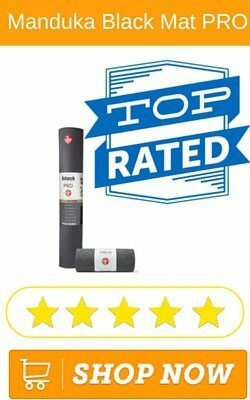 We believe this is one of the best hot yoga mat reviews out there and hope that it will help you easily decide what the right mat for you is. The post Review: What IsThe Best Yoga Mat for Hot Yoga appeared first on MyFreeYoga.